Oh Dante, you beautiful beast, why do you have to stir up so much trouble? Despite the fact that your rebirth has resulted in a game that is shaping up to be seriously awesome, you’ve also stirred your fans into a frenzy about your new haircut. You and I both know that you are the same badass that you’ve always been, but they just can’t seem to see past your looks. Don’t you ever get tired of being seen as just a pretty face? In all seriousness though, the vehemence of the reaction to Dante’s new appearance was shocking. 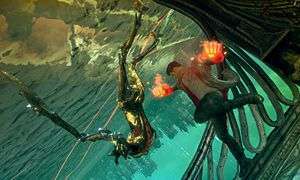 It was immediately apparent that there were a lot of Devil May Cry fans that had a great deal of love for the old Dante, and were not particularly impressed by Ninja Theory’s re-imagining of the mouthy protagonist. Undeterred by the endless criticism for their main character, Ninja Theory set out to let the game do the talking for them, and talk it did. When Ed saw the E3 build of the game he walked away mightily impressed by what he had seen, and at Gamescom I had the opportunity to dive even deeper into it. Ed’s preview was very positive, but all the other hype around it was negative, so I went into the demo with mixed expectations. The moment I picked up the remote, however, those expectations began to erode into positivity, and by the time I’d dispatched my first bunch of enemies I was thoroughly in love with the game. Now, I’m going to be straight. I’ve never played another Devil May Cry game, not even one. The full extent of my acquaintance with the original Dante is his jaunt in Marvel vs Capcom 3, and as much as it feels like I’m missing out sometimes, it does put me in prime position to look at Ninja Theory’s redesign of Dante with some measure of objectivity. Dante is a cool character. A very cool character. 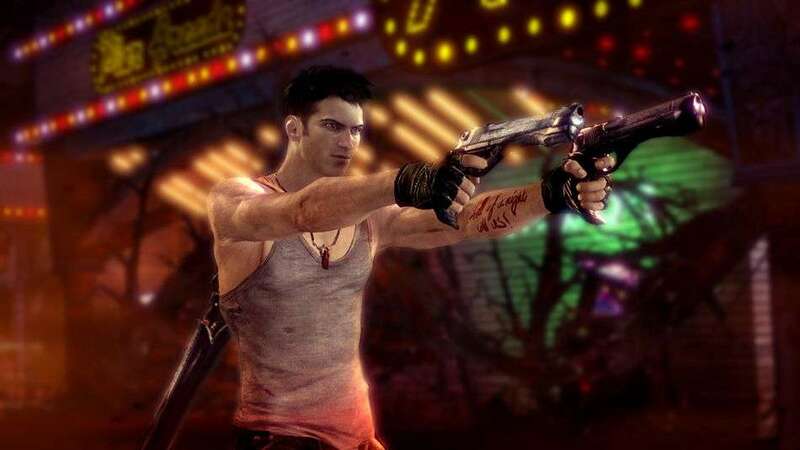 Although he has moments where he gets a little angsty, for the most part he is the badass, wisecracking gun-and-swordslinger that the original Dante apparently was. From just a short demo there are three or four lines that stand out in my mind, including a classic to end the level which served a tutorial. The levels themselves are a great deal of fun, the first introduction to which is Dante being dragged into Limbo, where the world hates him (art mirroring life? Ed.). That’s no exaggeration by the way; the world quite literally hates him, as several notes written in blood so vehemently detail. In order to ensure that Dante doesn’t get out of Limbo there are plenty of beasties thrown at him. Well, I say beasties, but I got the impression that they were really demons and, needless to say, they were out for Dante’s blood. Unsurprisingly, this is where the game really comes into its own. 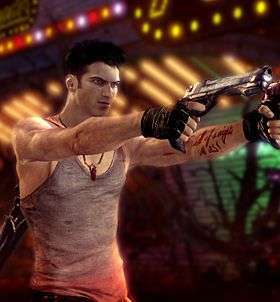 Combat in DmC is fluid beyond belief and makes beating the crap out of bloodthirsty demons a delight. Dante can make use of three stances: Neutral, Angel and Demon. In the neutral stance he uses his sword and signature dual pistols to good effect. In both the Angel and Demon stances he makes use of the fruits of his peculiar lineage: his angel and demon powers, which are activated with a simple pull of the triggers. These particular powers are what makes the combat so impressive, providing opportunity to take down your enemies in a style all your own. Demon style moves bring the pain, dishing out the damage with ponderous and heavy hitting attacks, while Angel style moves are the polar opposite, unleashing very fast attacks that don’t do very much damage. All three styles are implemented in the same way, with a button for ebony and ivory, a button for your standard attack, and a button for a launching attack that preps the enemy for an aerial combo that can do big damage. All your attacks also contribute to your combo, which is essentially your grading on how well you’re dishing out the damage. It’s great fun to keep seeing that letter ticking up towards ‘SSS’ – at least I think that’s how far up you can go. I wouldn’t know, because in my short time with the game the best I managed was an A. The combat is easy to learn, but feels like it’ll take plenty of time to master. 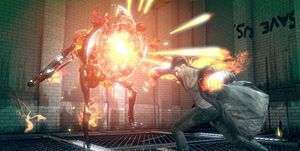 It won’t just be the combat that needs mastered in DmC; I learned was that there was more than one style of weapon that I was going to have to get used to, as Dante will unlock more as he progresses through the game. The heavy demon axe that I’d grown accustomed to using suddenly got taken away from me to be replaced with an even heavier gauntlet, which also provided Dante with the ability to thump his way through walls. Learning to use it was another experience altogether, and though I got the hang of it quite quickly, the change up surprised me and kept things new and interesting. Also keeping things fresh was the introduction of a particularly interesting (and frustrating) enemy. Glowing red and spurting fire with his attacks, he was only damaged by assaults with Dante’s heavy demon weapons. Having got into the habit of varying my attacks wildly to take down enemies and keep my combo up, the introduction of this guy was majorly irksome. There was an Angel weapon form of him as well, of course, which attacked in tandem with the demon form with annoying regularity as the level went on. Still, the boss fight at the end of the level was hugely entertaining, if embarrassing, and really put the scale of the game in perspective. When enough was enough and I had been left with my ego severely bruised I had a quick check on how long I’d been playing. Although it had felt like a pretty quickfire level, the frustration of separating my attacks per enemy and the big boss at the end had pushed the time well beyond the half an hour mark. The fact that I was surprised by this says a lot about how engrossing the game is. Despite all the negative press about the game, I left the demo thoroughly impressed and undeniably excited to give the game a real good seeing to when it comes out in January. The combat alone is very exciting, but combine that with the awesome setting and the wisecracking Dante and it turns into a very enticing package indeed. With all the vitriol surrounding the game, I’m really hoping that it succeeds, because as a game – not a franchise and not a reboot – it deserves to.